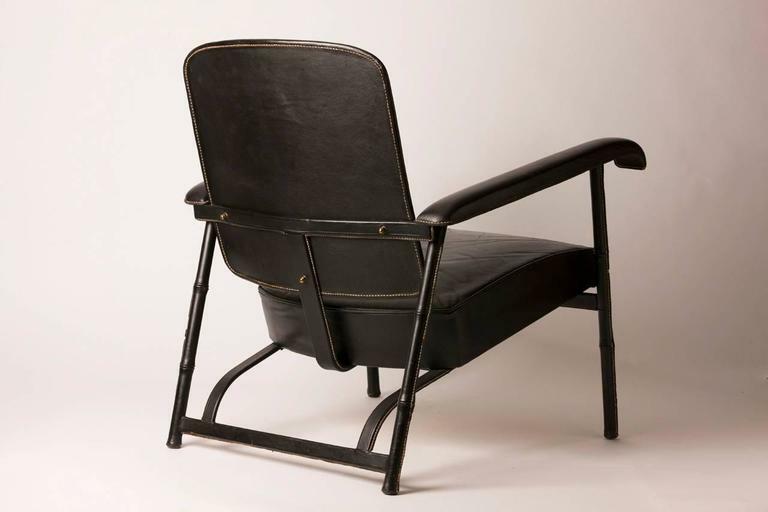 Rare and handsome hand-stitched French leather lounge chair by famed designer Jacques Adnet. 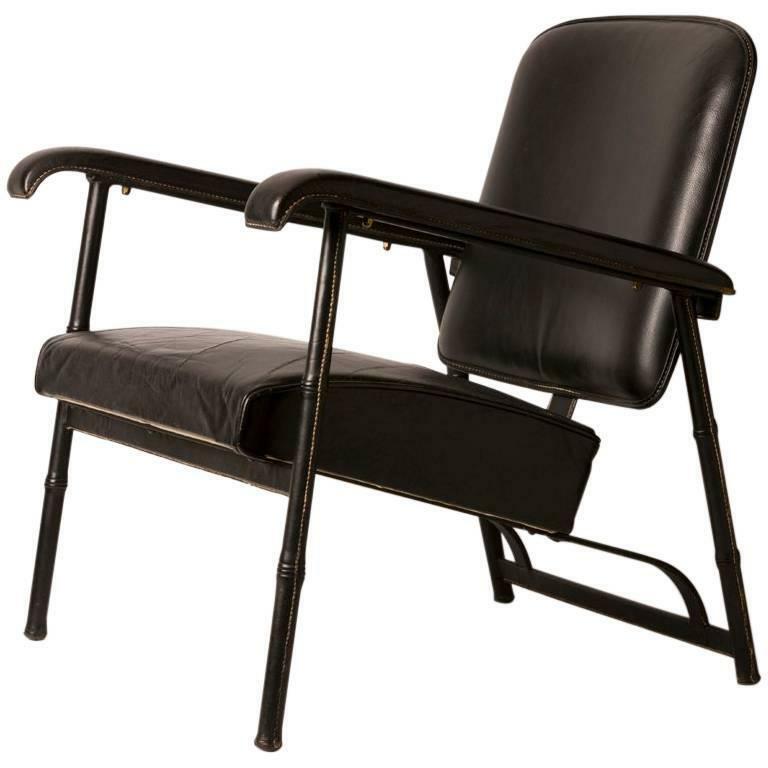 Chair features a metal body covered in luxurious hand-stitched leather. 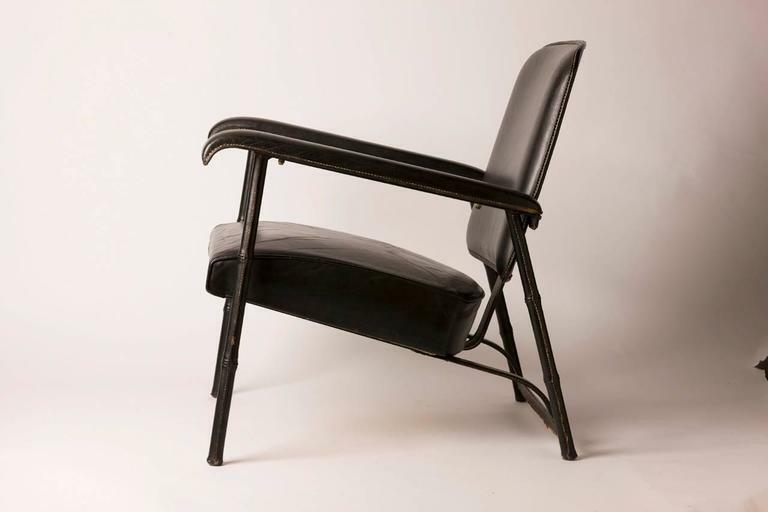 Chair is in excellent vintage condition. 1960s French woven lounge rope chair with cream upholstery. 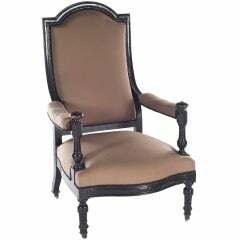 French armchair in the style of Napoleon III. Features canisters on all four legs and a rustic finish to the wood. 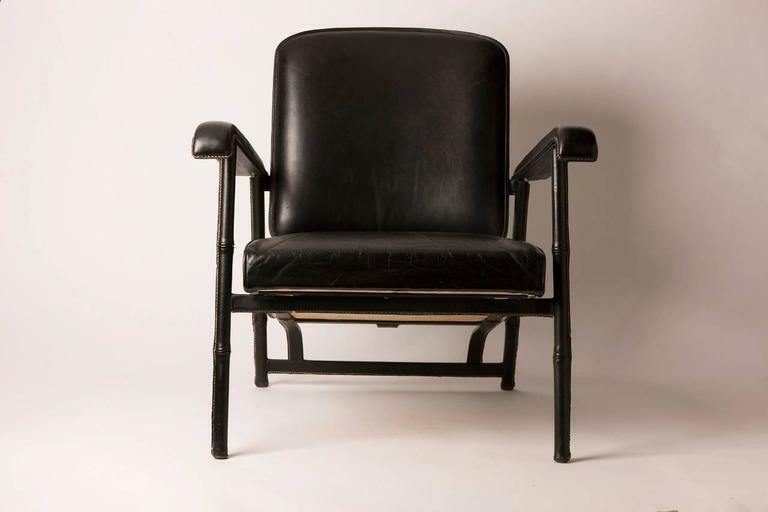 1950s armchair by Jacques Adnet, piqué-sellier chocolate brown leather. 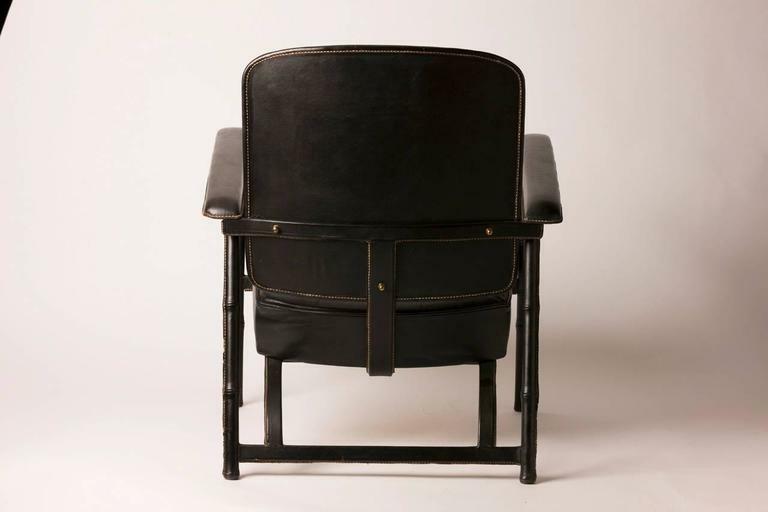 Black leather armchair by Jacques Adnet. Pair of 1950s armchair Very good condition. Rare pair of Jacques Adnet stools. Pair of stools by Jacques Adnet.